1950’s and 1960’s Full Restorations. Live the dream. 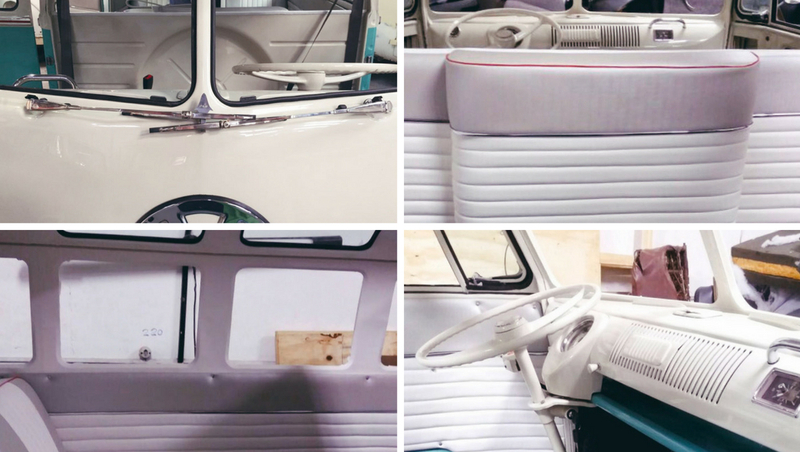 Own a fully restored Kombi 23 Window Samba. How? Red Plum Automotive now imports to Australia. 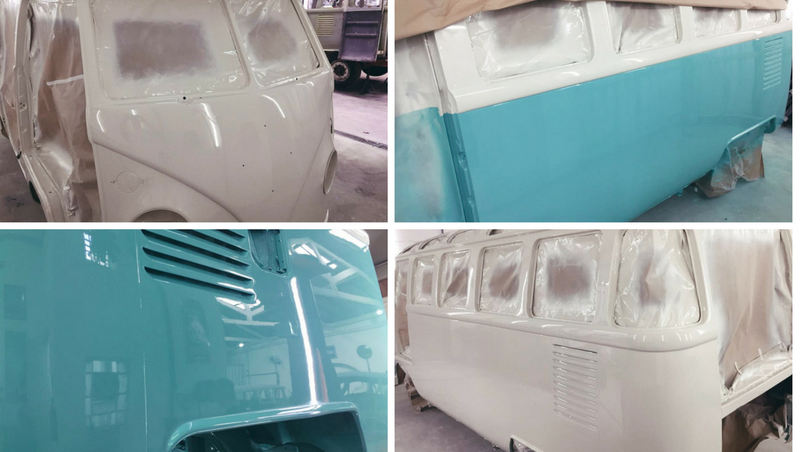 Quality, full restorations of the classic Kombi 23 Window Samba. This dream car is difficult to find. After much research, we now have reliable partnerships in place to import these iconic buses to Australia. These partnerships are in Europe and Brazil. The ground-up restorations arrive in showroom condition and fully comply to Australian standards and regulations. Why Brazil? Brazil was the first country in the world outside of Germany to have a VW factory. São Paolo was home to this factory and in 1957 the first Kombi left the factory floor. For 60 years the Kombi was built in Brazil and Brazil kept producing the T1 long after Germany. The last T1 came off the Brazilian production line in 1975. It was a sad day for the country and lovers and followers of the Kombi T1. For more detail on the Brazilian Kombi manufacturing timeline and a beautiful video on the Kombi – last wishes. Until recently finding vintage Kombi’s lead you to Europe. With numbers dwindling, the next biggest producer of the Kombi was Brazil. As a result of 60 years of manufacturing, many opportunities exist to discover ‘barn finds’ here. 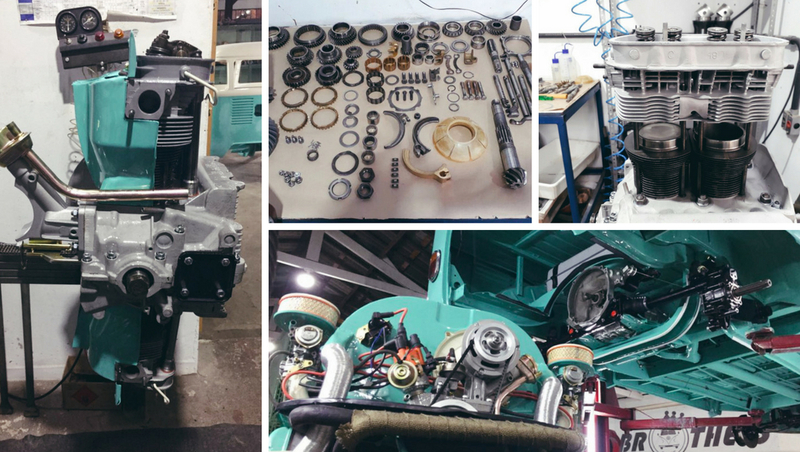 In addition, the parts needed to restore the Kombi 23 Window Samba are still available. As well, the expertise and knowledge of how to restore the Kombi still exist. Finally, labour cost in Brazil is far less than in Australia. All of these factors mean finding and restoring a Kombi 23 Window Samba in Brazil is viable. We recently wrote a blog about our own journey to own a Kombi 23 Window Samba that leads us to Brazil. In taking this journey it was clear importing a Kombi into Australia was not as easy as some sites would have you believe. It became our mission to import our own Kombi and make it possible for others to realise their dream. To own a quality Kombi that was immaculate. To find a bus that was as near to perfect as a 60-year-old car could be. This was our dream. In addition, we know they are collectable and will continue to increase in value. 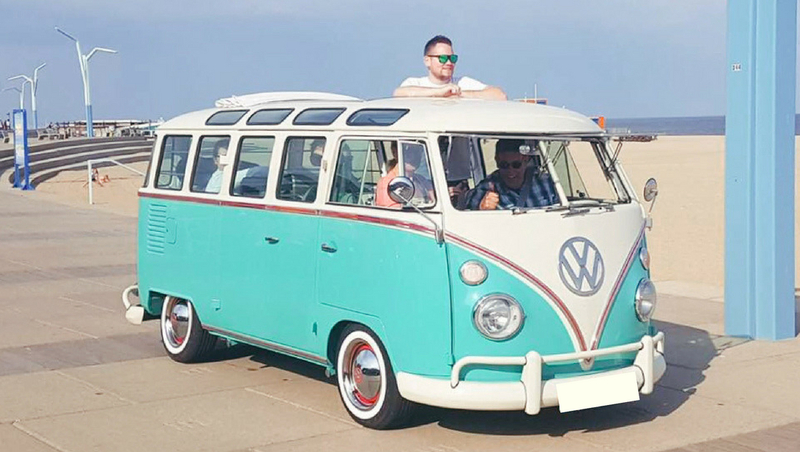 Our dream is now a reality with a fully restored 1961 Kombi Split Window on a boat heading to Australia. The next project is a 1966 Kombi 23 Window Samba. This kombi is available for sale. As the restoration is in the early stage there is an opportunity for customising. To create your perfect kombi. Contact Us to discuss. A full restoration of a Kombi 23 Window Samba will take 7- 8 months including delivery to the Port of Brisbane. Why so long? This is because of the level of detail that will go into creating a ground-up restoration. We believe this approach is the most desirable. Because of the uniqueness and future value of the kombi. Reformations can be done. However, we would not advise this approach. To show you what happens, we break the process down into 5 Steps, therefore, making it easier to picture. Each of the steps has original photos of an early 1960’s Kombi 23 Window Samba transforming into a beautiful iconic vintage bus. 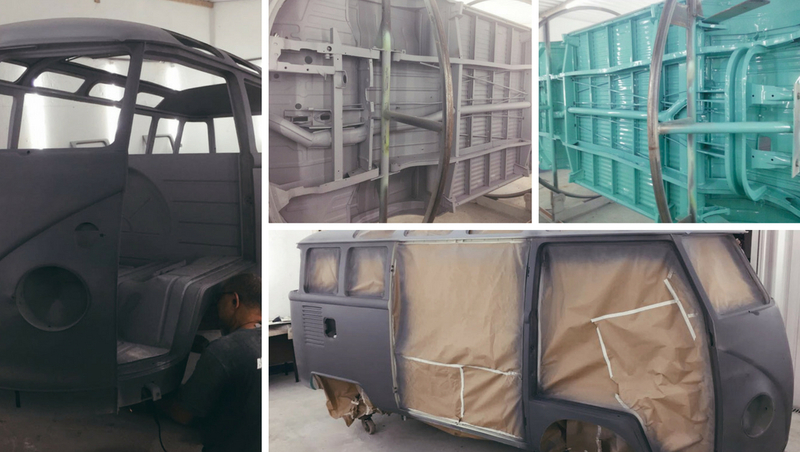 Each Kombi is stripped to a bare shell and sandblasted down to the metal. All rust is removed and new replacement panels installed where necessary. Weld finishing is done in aluminium paste which means NO BOG. All new paint with colour match to ensure authentic VW paint colours. A quality primer is always used. This provides the foundation for a blemish-free paint finish. An automotive rotisserie ensures full and even paint coverage to all areas. Electrical System is new throughout. A new Lighting System which includes headlights, indicators, brakes & internal lights. Rubber seals to all windows and doors are new. All chrome finishes are new including rear-view mirrors, side mouldings, VW logo and chrome hubcaps. Tyres with white sidewalls that comply with Australian standards are new. The dashboard and instrument panel receive a full restoration. Locks: including front, cargo doors, engine cover, trunk, ignition & fuel cap are all new. Upholstery is a bicolour eco-leather, with bicolour panels on front doors, cargo doors, & corner pieces. These are finished with chrome trim. Also, the spare wheel casing, full headliner, casing under the dashboard, trunk hatch and carpet are all new finishes. New seatbelts with Australian compliance and Safety Standards are installed. 2 USB points are added for modern-day convenience. Complete disassembly and sandblasting of the engine takes place. The engine is rebuilt. In addition, there is an option to upgrade to a 1600 cc twin carb thus providing additional power and torque. Transmission is disassembled, sandblasted and refurbished. Connecting rod & crankshaft bearings are new. New drum brakes with the option to install disk brakes to front wheels are new. All components of the steering including, joints, steering pins, steering box, wheel cylinders and wheel bearings are all new parts. The Exhaust system is also all new parts. Final quality, mechanical and compliance checks are all undertaken at the factory. Then it is time to ship. 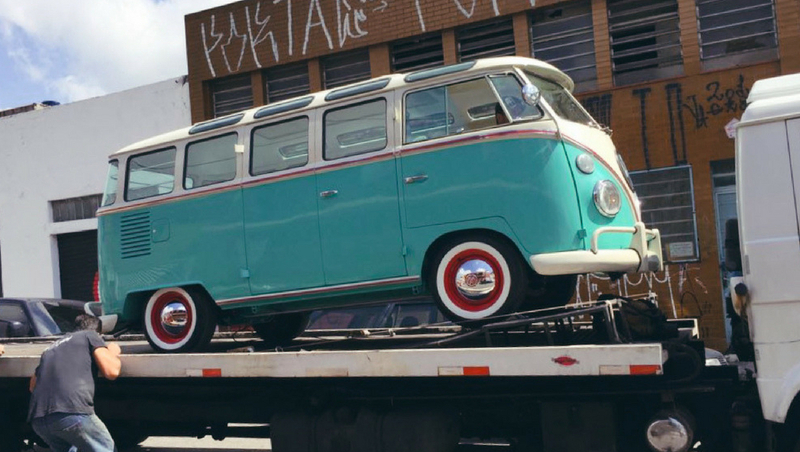 The Kombi is taken to the dock and carefully loaded in a shipping container bound for Australia and the Port of Brisbane. From there Red Plum organise transportation anywhere in Australia once Customs clearance is given. Necessary paperwork and compliance requirements for Australia is Red Plum Automotive’s role. Our knowledge, understanding and partnerships reduce the risk of importing from Brazil. 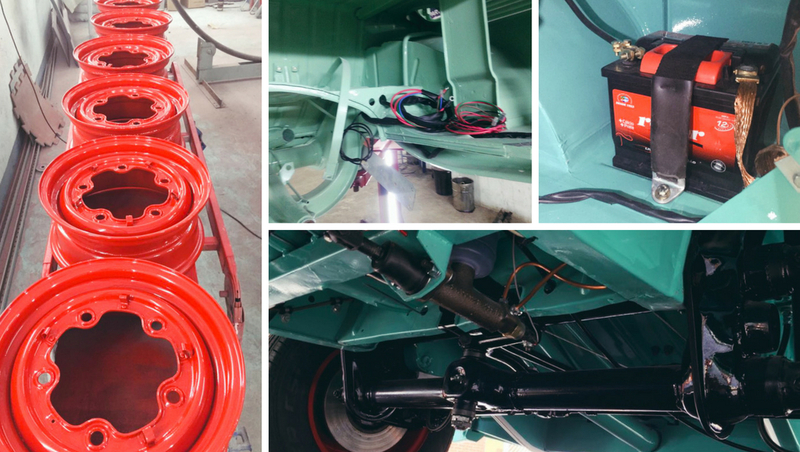 Finding and restoring a Kombi 23 window Samba can be costly and difficult. Particularly if you try to import from Brazil. Not any more. After over 12 months of research, negotiation and travel to Brazil we now import into Australia 1950’s and 1960’s Kombi buses. 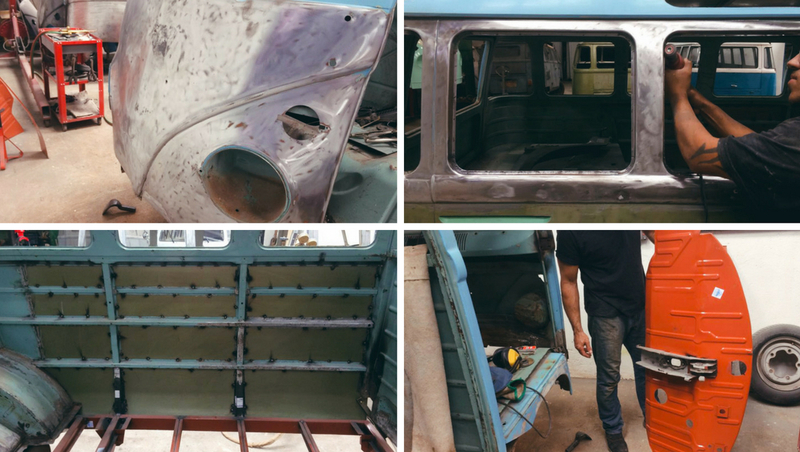 We put it to the test for our own Kombi and a 1961 VW Kombi Split Window is on its way. If you would like to keep following our Kombi dream sign up for the newsletter where we will post the arrival story.